This fund focuses on investing in restructure, recovery and hidden growth stocks. Alex undertakes a patient and methodical approach to ‘change’ investing focusing on quality companies that are in the process of restructuring, recovery or where the manager has identified hidden or recognised growth. Alex will focus on balance sheet strength and cash flow management. In addition Alex also seeks companies that are paying a dividend, or are expected to pay a dividend within 12 months of purchase. Alex follows a strict pragmatic long term approach to investing, with no investment made for short term speculation. We like this fund as it is managed by an ambitious manager, who developed the proprietary quantitative model used to identify stocks. Since launching the fund his investment style has posted very positive results. He has also delivered an attractive yield to investors. Alex Savvides is Senior Fund Manager of the JOHCM UK Dynamic Fund. He joined JOHCM in March 2003 as Assistant Fund Manager. Alex developed and launched UK Dynamic in June 2008. 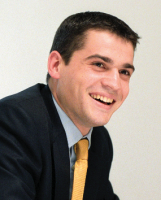 Prior to joining JOHCM, Alex worked at three independent UK stockbroking firms. Alex is a Fellow of the Securities Institute and holds the Securities Institute Diploma along with a BA (Hons) in Politics from the University of Nottingham. J O Hambro Capital management was launched as an independent investment management boutique in 1993 and is now a global business with £31.1 billion of assets under management (as at December 2017). Since October 2011 it has been a wholly owned subsidiary of BT Investment Management, operating as a stand-alone boutique. 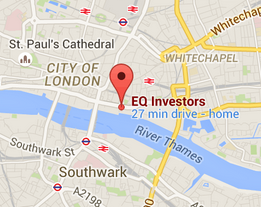 Their focus is across six equity asset classes, UK, USA, Europe, Asia, Global and Global Emerging Markets.